The Boston Cannons, along with Plymouth Rock Assurance, are honoring high school lacrosse athletes who have displayed exemplary character and sportsmanship on and off the field. 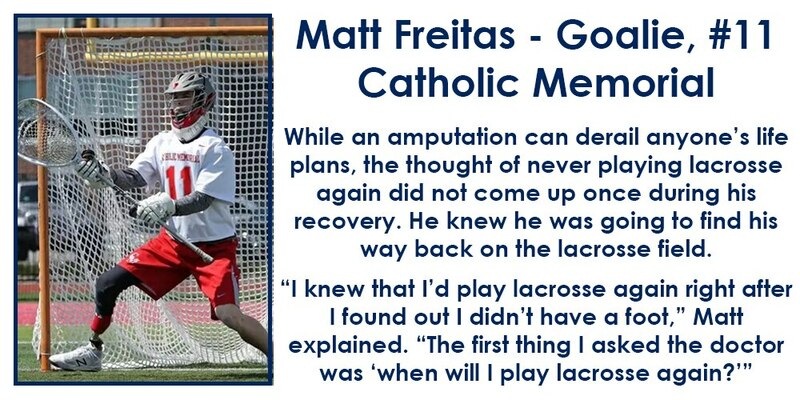 To read more about Matt Freitas, click HERE. 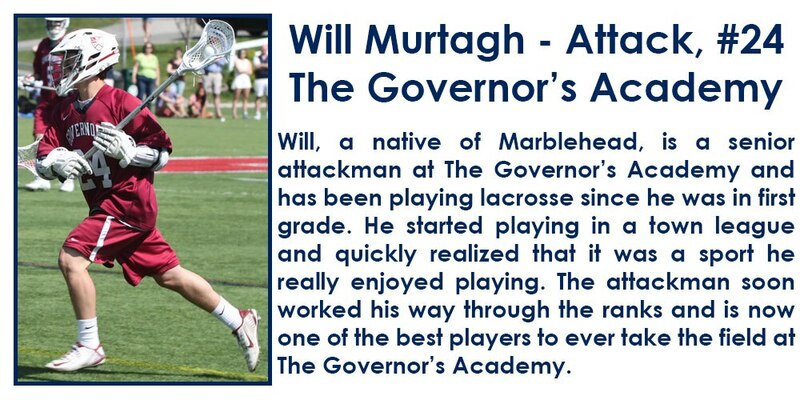 WickedLocal Roslindale - "Catholic Memorial High School Student Named a 'High School Hero'"
To read more about Will Murtagh, click HERE. To read more about Frankie Higgins, click HERE. 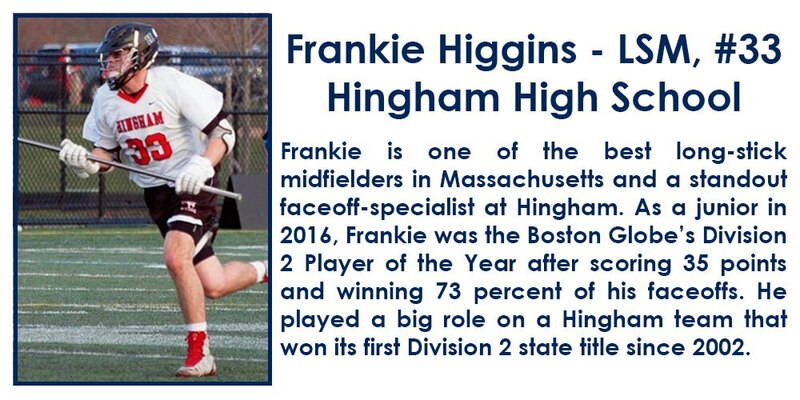 WickedLocal Hingham - "Hingham's Higgins Named Boston Cannons High School Hero"
To read more about Matthew Rawding, click HERE. 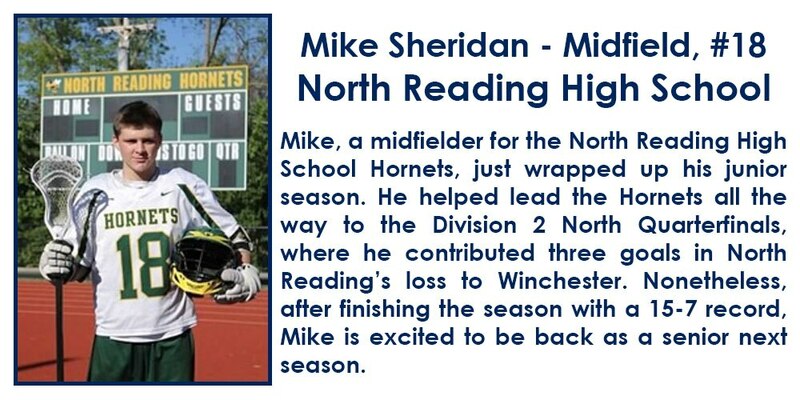 WickedLocal Beverly - "Beverly Student-Athlete Recognized as 'High School Hero'"
To read more about Mike Sheridan, click HERE. 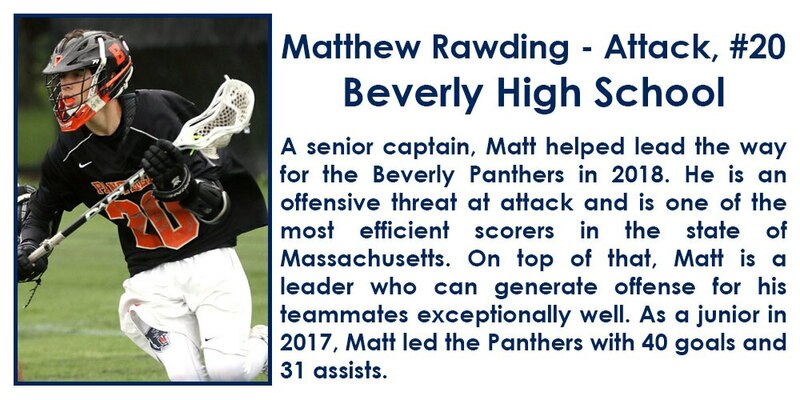 North Reading Transcript - "Mike Sheridan Recognized as High School Hero by Boston Cannons"
To read more about Cece Davis, click HERE. To read more about Connor Murphy, click HERE.